May 16, 2017 - It’s been 30 years since a woman has called an NFL regular-season game, but that will change on September 11 as ESPN has announced that Beth Mowins will handle the play-by-play of the second game of the network’s “Monday Night Football” double header between the Los Angeles Chargers and Denver Broncos. 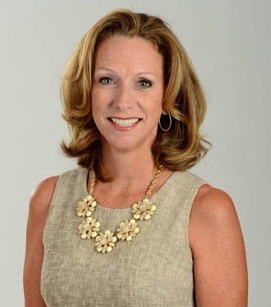 Mowins has been a play-by-play announcer primarily of women’s college sports on ESPN since 1994, including national championships in basketball, softball, soccer and volleyball. Her football experience includes men’s college football since 2005 and Oakland Raiders preseason games beginning in 2015. Her partner for the historic night will be former head coach of the New York Jets and Buffalo Bills, Rex Ryan, who just signed a multi-year deal with the network. This will also be Ryan's debut as an NFL analyst. "This is an amazing opportunity and I look forward to working with Rex and our entire ESPN team," Mowins said in a news release. "As lifelong fans of the NFL Monday Night Football franchise, we want to bring the same passion to the broadcast as our predecessors have all done." You have to go back to 1987 when Gayle Sierens, a sports reporter turned news anchor for WFLA, an NBC affiliate in Tampa, called the regional regular season finale between the Seattle Seahawks and the Kansas City Chiefs on NBC. The peacock network had her slated to do six more games but WFLA asked her not to pursue any more play-by-play opportunities. Sierens continued to serve as the top news anchor at the Tampa station until her retirement in 2015. She would later say, “I kicked down the door, but no one else came in.” Well, it took a while but Mowins is finally following in her footsteps. Mowins will actually be one up on Sierens, as this is a nationally televised game, making her the first female to accomplish that feat. It is interesting to note that the ASA, concerned with the lack of recognition that women were getting in the male dominated field, published an article in 1996 entitled, “Women in Sportscasting: A Brief History" by Louis O. Schwartz. The article describes the struggles, discrimination and stereotypes that women had to overcome to eventually be accepted and respected by their male counterparts, and continues to serve as a reference guide for the female sportscasters of today. We owe a debt of gratitude to the pioneering women like Jane Chastain, Phyllis George, Lesley Visser, Jeannie Morris, Donna de Varona, Ann Liguori, Gayle Gardner, Suzyn Waldman, Ann Meyers Drysdale, Hannah Storm and the many others who paved the way so that the sportscasting industry as a whole can celebrate this long awaited moment.